What was the Green Deal for Solar Thermal? The Green deal for solar thermal systems is a government run financing scheme that has been set up to help you make energy saving improvements to your home or work place. It’s a loan, not a grant, so you will have to pay it back, but it won’t end up raising your outgoings because the money is recouped by taking a percentage of the savings your solar thermal system makes on your current energy bills. It enables you to make your energy saving improvements without having to pay in full the upfront initial costs of your install. Through this scheme you can still make savings on your energy bills and lower your carbon footprint. By taking advantage of this scheme you may well be protecting yourself against future energy price rises. In order for your project to be applicable for the Green Deal your property will need to meet certain criteria. For instance; your property was not built within the last three years. 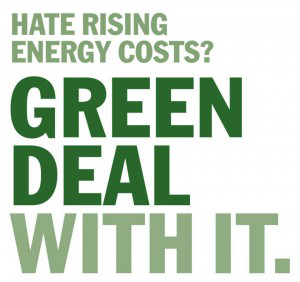 MoneySavingExpert has some great information on the government’s Green Deal. You will need to get a Green Deal assessment of your property to see whether it is applicable. This assessment will also tell you what various systems will save you on your energy bills. The Renewable Energy Hub ‘Find a Green Deal company’ will help you get an assessment. It is worth bearing in mind that there is usually a charge of between £95 and £150 for an assessment so we highly recommend checking your property’s eligibility online before contacting a company for an assessment. If you decide to go ahead with a green deal loan you will need to choose how you are going to pay back your loan. You can have a loan to fully cover the costs of the improvements so you don’t have to pay them in advance. You will have to pay the loan off in instalments that are added to your energy bill. These instalments are based on what a typical household is expected to save once the work has been carried out. These costs will be shown on your Green Deal finance plan, which will include interest rates. This is the contract that will exist between you and your energy provider. Although this is generally worked out by how much you are saving so that your overall bills do not increase, the actual increase or decrease of your energy bills will still depend on factors such as energy price increase and the manner in which you use your system. The Green Deal stays with the property so you won’t have to continue paying the loan if you move. You can pay back the Green Deal loan early although some energy providers may charge a fee for this service. Alternatively you can pay for the loan upfront as long as a Green Deal assessor has organised it and the work is done through a Green Deal provider. By doing this you can avoid the interest costs but are still eligible for the government’s ‘cashback’ scheme. Click here for more information on the Cashback Scheme. This means that even if you are paying in advance, you will need to contact an energy provider, not an installer, to be eligible for the cash back after the work is done. The Green Deal certainly seems to be a good move for those looking for Solar Thermal systems who can’t afford to pay for them upfront. Your home or business will benefit from the improvements covered by the Green Deal initiative as long as a decent assessment has been carried out and approved. This said, always look into the details as much as possible before making up your mind and always ensure you are with the cheapest provider. Read more on The Green Deal here.